I was a bit naughty… I bought my first red for the series. I’ve been wanting an RMK lippie for ages and you know what it’s like when you want something… any old excuse right? I’m very pleased I did buy it though! 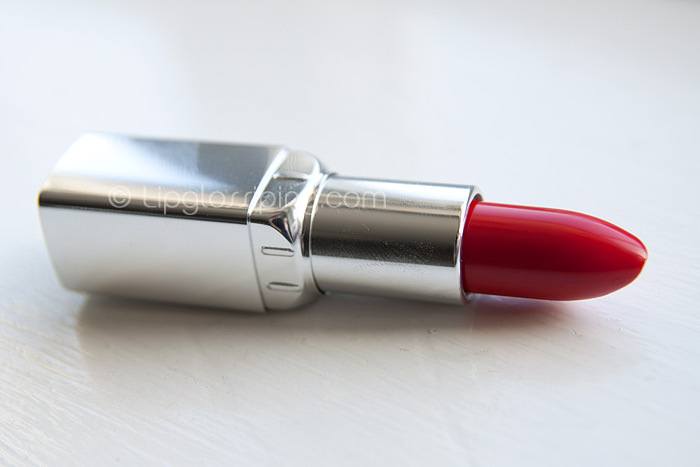 RMK Irresistible Lips in 29 Red is a vibrant, slightly pink red. I actually expected it to be a little sheerer than it is… I’m used to Asian lipsticks coming out less pigmented but this is a cracker and a really balanced lipstick in terms of texture being neither too matte nor too glossy. One swipe (as with most lipsticks) will give an uneven finish but if I blend the colour with my finger I get one of the best deep pink/red lip stains I’ve worn. A couple more swipes and you get a finish as in the photo above. I find pink/reds quite hard to wear as they often clash with my skintone… they have to be spot on or they just look “off”. This one is pretty good, it’s neither too guava nor raspberry leaning… neutral. 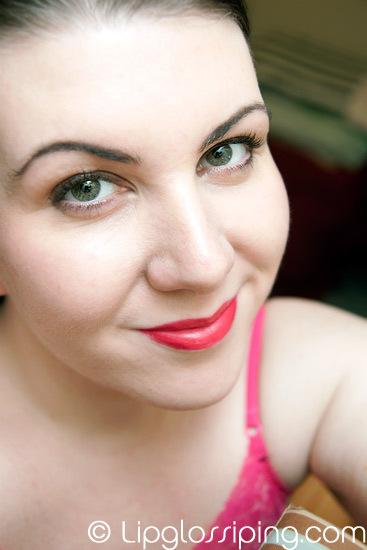 RMK Irresistible Lips also gave me great wear and faded evenly after a few hours…. because it wasn’t completely matte, I was also able to smoosh my lips together to replenish the colour a couple of times before reapplying.